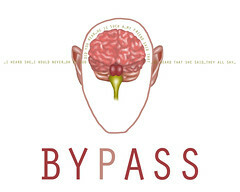 This image, entitled "Bypass" was created by Christy Johnson. You can meet her in the gallery on Friday, Feb 24th! The official hours of the 3rd on 3rd Gallery are 10am-4pm Monday through Friday. Here are exceptions and extensions for the week of Feb 19th. Monday, February 20th – Building will close at 3pm. Tuesday, February 21st – 10am-2pm – Artist Renee Pye will be in the Gallery. Stop by to chat with her about her work, and all the Women Create works. Wednesday, February 22nd – 7pm-9pm – first of the Salon Series. Don’t miss it! Saturday, February 25th – – hope to have volunteer for evening hours. Check Back!